Someone asked why we can say ‘Books are important’ without an article. Obviously, we can’t say ‘a’ or ‘an’ in front of plural nouns because they are only used for singulars. 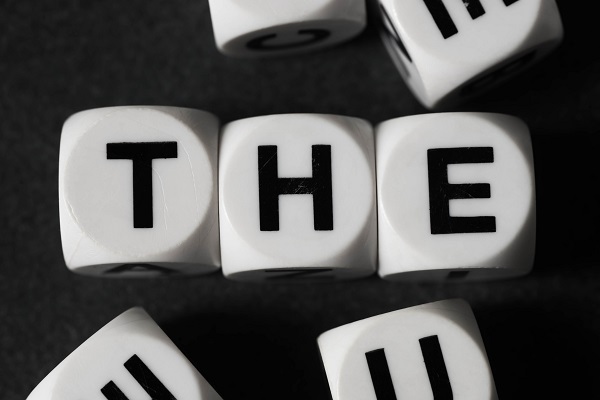 For ‘the’, the rule for plurals is the same as for singular nouns: we use it when we are referring to something specific, for example something that has already been mentioned. In the sentence ‘Books are important’, we are talking about books in general. But we would need ‘the’ for a sentence such as ‘I read all the books in the library.’ because in that case we are speaking about specific books. Similarly, someone asked why we use the phrase ‘the following’ before a list of items, even though it’s the first use of ‘following’. It is because, again, we know the specific things we are talking about: the items in the list we are about to read. It is useful to learn ‘the following’ as a phrase because (with that meaning) that is how it always appears. Articles cause so many problems for learners, but I hope that these posts have explained them a bit more. Do let me know if you have any other questions! This articles are very useful for me. I really appreciate them very much. Thank you for the fabulous article. As far as I’m concerned the best way of learning articles’ usage is to read books; and the more you read, the better is your understanding of them. please clarify only THE like its usage before the names of seas,lakes,planets,etc. You need ‘the’ in front of seas and oceans, nothing before planets, and usually nothing before lakes. Great article on “articles. ” I will have to read it again to fully understand it all. Lots of information for me to grasp at once. But very helpful. Thank you. Super useful! Thanks a bunch! If we know *which* black horse, ‘the’. If we don’t, ‘a’. Both a and the can perfectly be used in that sentence. The context tells it all. Ex: two friends having fun, one on a horse and the other on a bike. So you can say: John was riding on a black horse and Peter on a bike. But if you think about a horse race and you’re not sure who was riding which horse, you can say: John was riding the black horse. Highly usefull post about articles in English language. Than you so much. I’ve wondered about ellipsis concerning articles lately, and now it’s absolutely clear. Thanks for that. Can I ask someone by this way…. ((( Did you have lunch?))) … I think. It’s weird kind of ..
No, that’s not weird – it’s the normal way of asking! He hopes to join – University soon. Please fill the blank position with appropriate article with an explanation . That depends if you’re British or American. First of all, we don’t ‘join’ university, we ‘go to’ or ‘start’ it. In British English there is no article. In US English, I believe they use ‘the’. Why we use article before Rivers but not before lakes? That’s a very good question! I don’t know the reason, but you’re right about it. Could you tell me which of the variants is correct? 1) The more you do, the better your health is. 2) The more you do, the better is your health. As a transitive verb, there isn’t really a difference. We climbed (up) the mountain. As an intransitive verb, we don’t usually use ‘up’, e.g. temperatures climbed (not climbed up). I am appreciated so much for your great writings about articles. I remember well your “number one rule is this: if a word is countable (e.g. one book, two books), you must always use an article (or my, his, etc.)”. But today, when I read a CNN news from http://money.cnn.com/2018/01/08/technology/lg-rollable-display-ces-2018/index.html with its headline: “LG Display’s 65-inch TV rolls up like wrapping paper”, I has been confused about wrapping paper without any article. It seems that the “wrapping paper” is an uncountable noun, doesn’t it? Could you please spend your spare time to explain it? Thank you in advance and have a nice weekend to you. Yes, wrapping paper is uncountable, so it doesn’t need an article. Headlines often miss out articles anyway. After Ms or Mr, you normally don’t use the person’s first name or full name…just suggesting. I have been confused about Seasons and Festivals. I can see both with “the” or nothing. e.g the spring / spring, the Chinese New Year, the Christmas/ Christmas… Please help me out. Thanks a lot. ‘the’ is optional with spring, summer etc. Also with Chinese New Year. However, we wouldn’t use ‘the’ before Christmas unless we were talking about a specific one, eg. ‘the Christmas we spent in Moscow’. I have a question regarding the use of ‘the’ before the superlatives. I am usually inclined towards using ‘the’ before ‘best’. However, I have also seen variations. I am sure you have too. “There’s one I like best.” …The New Yorker, article by Anna Russell (13.12.17). When I see such examples I am completely befuddled. When do we not use ‘the’ before ‘best’? That’s a very good question! I think that we often miss ‘the’ when it comes after a verb other than ‘be’, and especially in a common phrase like ‘like best’. We can also say for example ‘This treatment works best’. But after ‘be’, I think I’m correct in saying that you always need the: ‘This is the best treatment.’ I hope that helps! Thank you for your posting. You are a great teacher. By the way, when you mention missing ‘the’ after a verb, it rings a bell to me that actually the part of speech for “best” after a verb is an adverb. So we don’t use the article in the cases of “like best” or “works best”. Thank you for your valuable time for English learners. Hello Liz! Could you tell how to use articles for time? It depends: Definitely not the first one. The second one if it’s unlikely the person you are talking to has any idea that you were catching a train, the third one if you can reasonably assume that the person you’re talking to knew you were on a train, or that you regularly catch a train. The verb ‘be’ is missing here: For positions that can only [be] filled by one person, it is possible to omit ‘the’. Thanks very much, Nifras! We have corrected this now.